On Nov. 1, 2016, Sierra Nevada Journeys was awarded nonprofit organization of the year during the Golden Pinecone Awards hosted by GREENevada. Dave Stockman, one of our long-time trustees and financial partners, welcomed Eaton Dunkelberger, our CEO, to the stage. It was an exciting moment for the organization as we are about to celebrate our 10-year anniversary in 2017. We are also expected to serve our 100,000th student next year. Sierra Nevada Journeys (SNJ) is a 501(c)(3) organization that uses the unique outdoor classrooms of the region to deliver robust outdoor science and collaborative problem solving education to promote long-term student achievement. They accomplish this through the Whole School Model, an outdoor education program that ensures the teachable moments inherent in outdoor education are extended both across the school year and through a student's elementary grade progression. SNJ's Whole School Model uses outdoor science education supported by in-school lessons and teacher professional development to maximize student inspiration and achievement across science, technology, engineering, math, reading, and collaborative problem solving. Since their start in 2006, they have served over 75,000 students and 4,500 educators with residential outdoor science programs, field and school based programs and teacher professional development. SNJ has more than doubled the students they have served over the past 3 years; SNJ now serves 2/3rds of elementary school in Northern NV with outdoor science programs; and SNJ will serve over 50 schools with Family Science Nights in the coming school year. Thank you to our staff, trustees, volunteers and financial partners. Thank you to our community of teachers, parents and students. We couldn't have done this without you. Congratulations to all the other Golden Pinecone winners! We are honored to be surrounded by such dedicated and talented individuals and organizations. 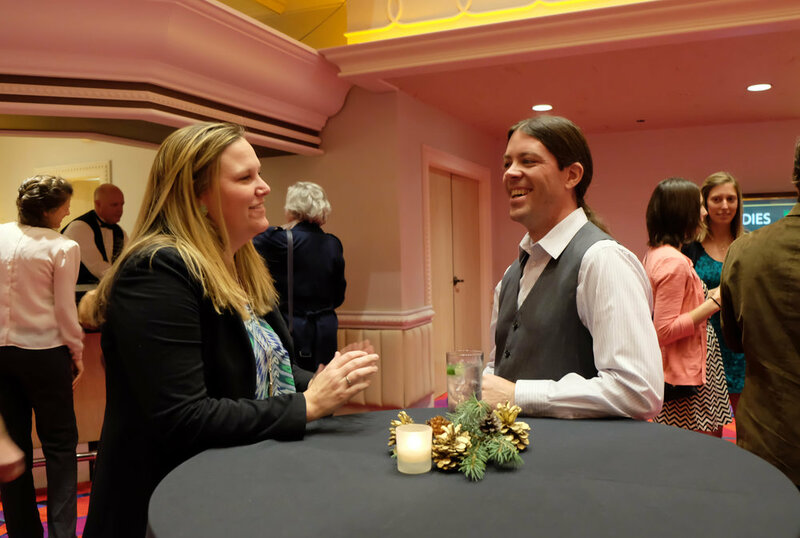 The Golden Pinecone Ball was started by Tod Bedrosian, Bob Fulkerson, Glenn Miller and Bob Loux in 1988 to bring the environmental community together as friends and initially to get the community excited about stopping the dump of nuclear waste. 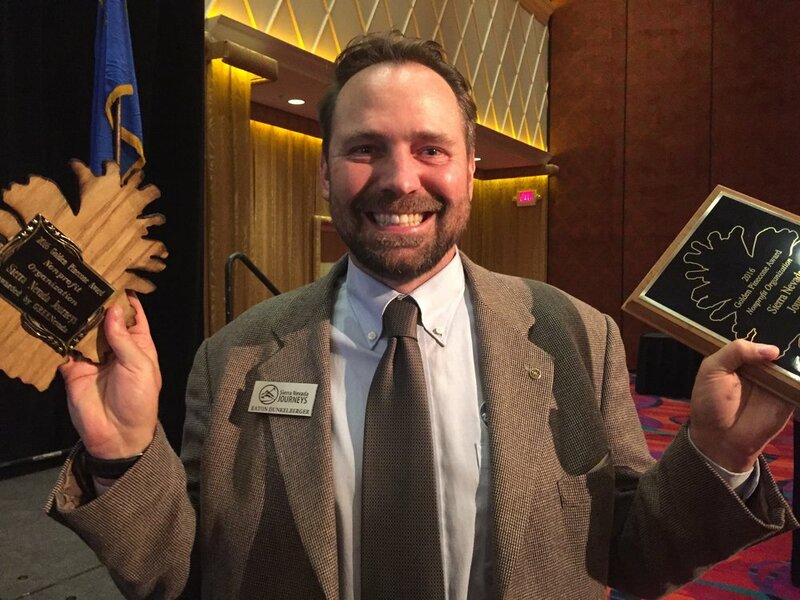 It was nicknamed the "conservation casual drab event" and the pinecone awards were handmade out of plywood, an ironic twist on formal award ceremonies to honor the environmental accomplishments of the past year. 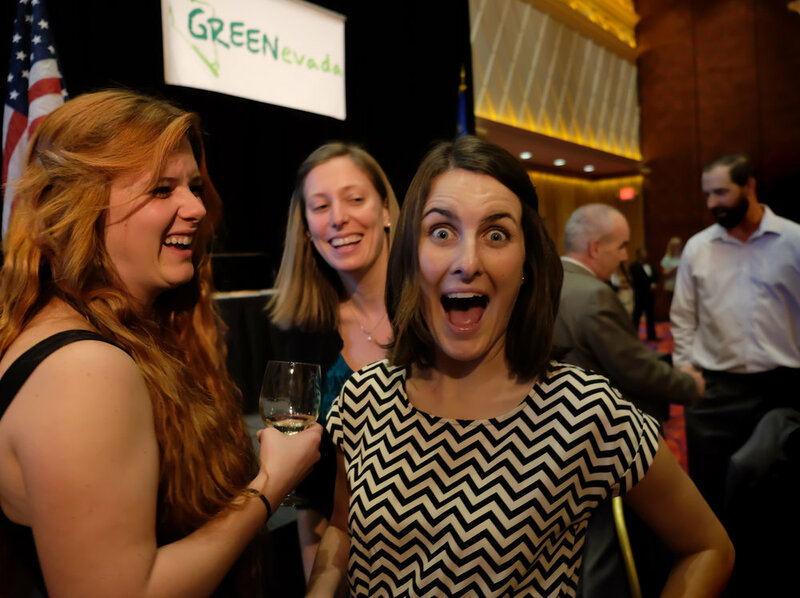 The Golden Pinecone Awards and Ball is a legacy event run for more than 25 years by Environmental Leadership, Nevada EcoNET and more recently greenUP! In 2016, GREENevada took ownership for the vent as part of its environmental leadership mission. 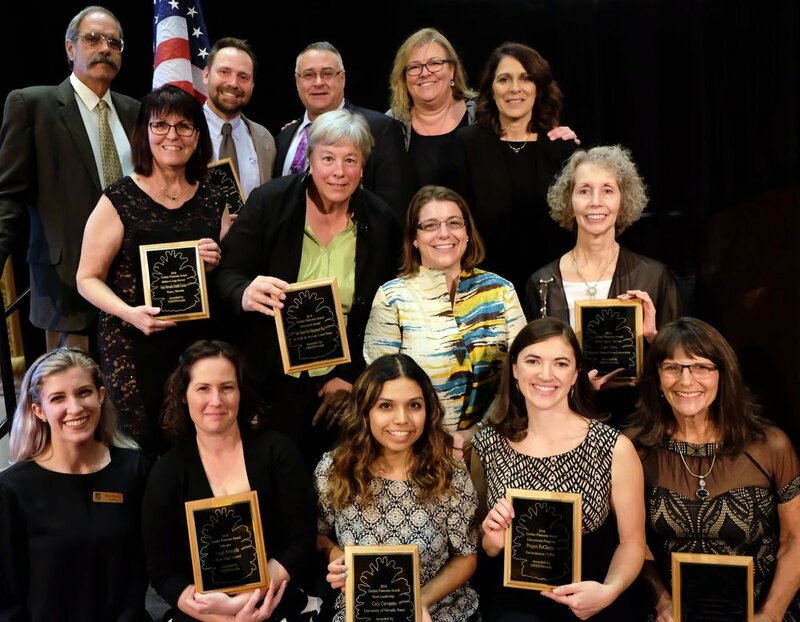 GREENevada has a strong reach throughout the environmental community and wanted to continue this important tradition of recognizing outstanding individuals and organizations for their achievements toward improving and sustaining the environment.